Phillip NOONE CARES about the Minnesota Twins, drop it. #Vikings Captains: Greenway, Peterson, Griffen, Bridgewater and Cole. San Diego wins the toss and they defer. #Vikings start out on offense. Way to go Andrea Krammer! Cordarrelle Patterson enters the game for one play in a 3TE set, #Vikings run. 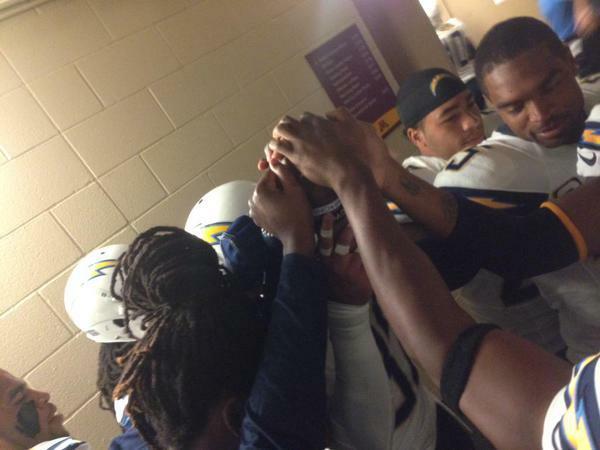 #Chargers on pace for 36 penalties today. 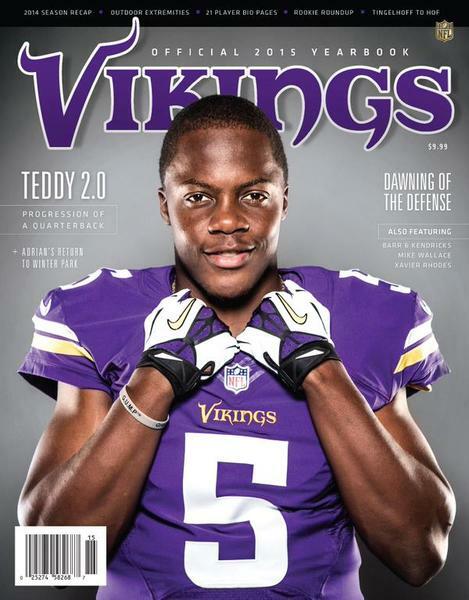 Rough start for Teddy Bridgewater, pressured again and lofts an attempt to Charles Johnson in the end zone, intercepted. Not an excuse for Bridgewater being picked by Steve Williams but Kyle Rudolph HAS to make that catch on first down. Also on the first play of that series, none other than Cordarrell Patterson was on the field for a snap. So for today Peterson has 5 carries for 35 yards with every carry coming when Bridgewater has been under center. Kill said Boddy-Calhoun is having an MRI on his knee. Some concern there. It's an ankle injury for KiAnte Hardin. And now Justin Trattou is down on the field, helped off by #Vikings trainers.